Is it just me or is there a disproportionally large number of telly programmes on at the moment about the lives of the very wealthy, their super cars, luxurious holidays, humongous mansions and considerably inflated bank accounts? Take the BBC's 'Inside Necker Island: A Billionaire's Paradise', on our screens the first week of January and possibly the cruelest bit of TV scheduling ever. Chilly, dark, impoverished January evenings are never, ever improved by watching an hour of rich people paying £30,000 per week to frolic in azure blue seas, sunbathe on long stretches of golden sand and sip piña coladas by the infinity pool. Or the uber-richskis on 'Super-Rich and Us' spending over £50,000 in all of five seconds in the back of a limo on diamond jewellery when the rest of us are counting our pennies until payday. The answer for us mere mortals? 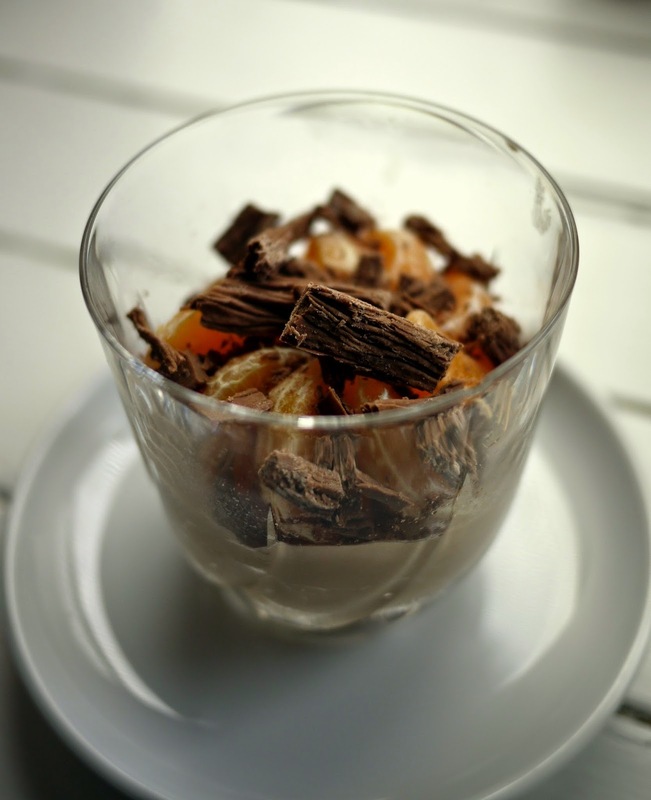 These Jaffa Chocolate Pots: an indulgent, glorious taste of paradise. And should you need another excuse to make them (really, you do?) lets celebrate chocolate in the week that Cadbury's rather outrageously revealed their Creme Eggs are no longer made from Daily Milk but a “standard cocoa mix chocolate”. I'm not sure what a 'standard cocoa mix chocolate' is either, but it certainly sounds unappealing vile*. *Sure, I haven't tasted the new version but really Cadbury's, really. 1. Melt the chocolate in a small glass bowl suspended over a saucepan of gently simmering water, stirring regularly. Once melted, remove from the heat. Now that you've mentioned the telly programmes, they are quite disproportionate. 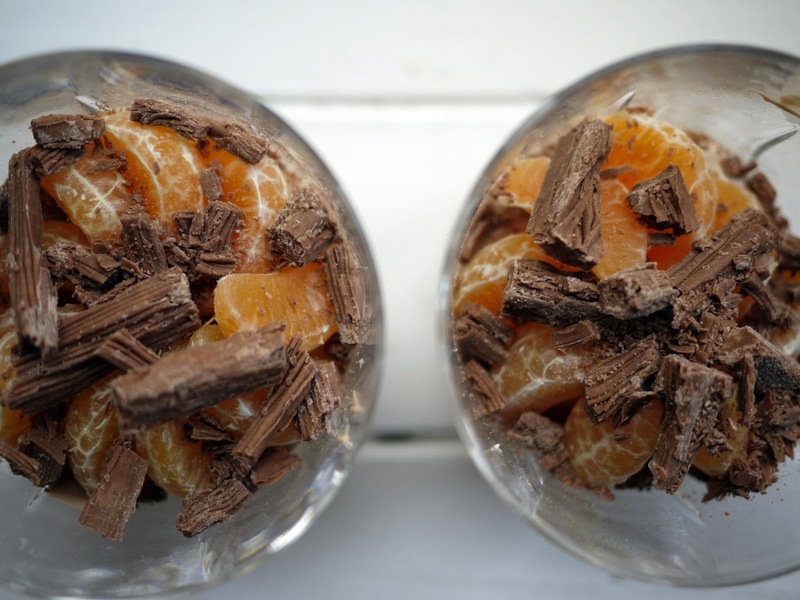 Love these chocolate pots - chocolate and orange is a classic combination and surely the fruit makes it healthier! Now that's what I need on a cold January day. Lovely. I'm deeply shocked by the creme eggs brouhaha. Cadburys just aren't the same any more - in fact, since 2010 they've not really been Cadburys. I had no idea that there were lots of TV programmes about rich people at the moment - I've told my butler to check this out as soon as my yacht docks in Monte. What are Cadbury thinking? These look great. Haha Kate, I'm with you there. If you can't indulge in a glorious mansion then eat something delicious instead. These pots are for CT who is rather too addicted to jaffa cakes. I'm with you on those TV programmes - I avoid watching them (and the benefit street ones) as they only make me feel more grumpy than I do already on a miserable January night! 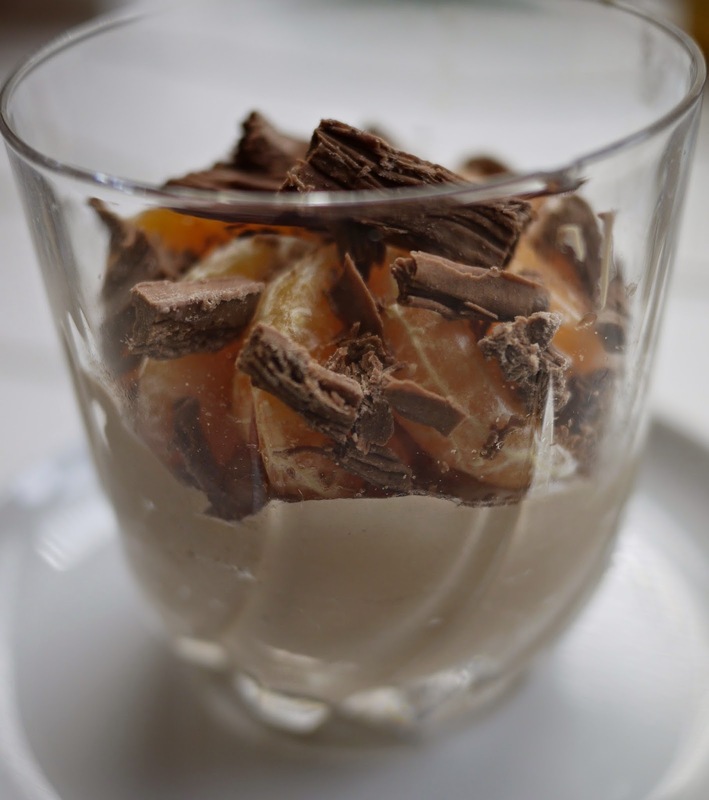 These puds would certainly lift any grumpy mood though. Just thinking about them makes me smile! I've just found this while semi-randomly google searching for something quick and easy and delicious to make, but I've definitely got to check out the rest of your site now. My favourite part of this recipe? You make proper-sized portions! Most of the recipe blogs I follow would insist you only need a few teaspoons of cream and chocolate each, and the topping would be a fine dusting of cocoa powder. If anything annoys me more than wealth-obsessed 'reality' shows, it's skimpy dessert recipes!